Investment treaties can have far-reaching implications for communities, but how can citizens in low- and medium-income countries influence their content? An IIED webinar examined the role of civil society advocacy on investment treaties in Malaysia, the Philippines and beyond. There are more than 3,000 investment treaties in existence worldwide, promoting cross-border investment flows, primarily by protecting foreign investment but with knock-on effects for local communities. Yet much of the debate around these agreements takes place at the global level, involving government representatives, specialists and other key players. The voices of civil society organisations (CSOs), in particular in small and middle-income countries, also need to be heard in these debates. 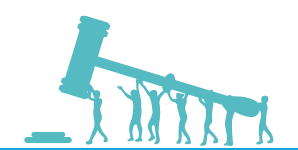 An IIED legal tools webinar recently discussed how the voices of civil society could become more involved in these debates, looking at lessons from Malaysia and the Philippines. Investment treaties are international agreements between two or more states intended to promote investment. They can be bilateral, regional or multilateral and are increasingly incorporated within broader trade and investment agreements (such as the proposed Trans-Pacific Partnership agreement (TPP) being negotiated). While theoretically 'reciprocal' agreements, this is often not the case in practice – especially for treaties between developed and developing countries (e.g. the investment treaty between the UK and Ethiopia due to come into force soon). Investment treaties frequently include investor-state dispute settlement (ISDS) provisions to protect investors if standards in the agreement are breached. Disputed cases are usually settled by international arbitral tribunals that can award substantial compensation to investors, paid by the state. There is no right of appeal. This can make states reluctant to regulate on desirable policy issues, such as the environment or health issues. A state might also refrain from terminating a contract with an investor, despite negative impacts for communities, for fear of being sued under the relevant investment treaty. But what can CSOs do to influence these agreements, and how effective can they be? This was the focus of discussions at our recent webinar, with Fauwaz Abdul Aziz, head of research at the Malay Economic Action Council (MTEM), Joseph Purugganan, the Philippines programme and the EU-ASEAN network coordinator at Focus on the Global South (FGS), and IIED legal tools team leader Lorenzo Cotula, who provided a brief overview of investment treaties, and why they matter. One of the key points raised by the presenters was that investment treaties raise complex technical and legal issues. Negotiations are often conducted by government representatives and experts behind closed doors. So, as the presenters pointed out, the first challenge is to make sure that civil society understands why investment treaties are relevant and how they can affect communities. They shared examples of informing the public through forums and media briefings, using, among other things, 'emblematic' cases (such as the actions taken by investors against legislation to discourage smoking in Australia and Uruguay) that illustrate how ISDS mechanisms can impact on a government's right to regulate on health issues for instance. CSOs might also need convincing that the debate is relevant to them, perhaps by identifying issues covered by an investment treaty that link to their work (e.g. mining, human rights or corporate accountability issues). Building a coalition to run the campaign is also important, according to the panellists. Coalitions may be local, targeting a specific Free Trade Agreement (FTA), such as 'BANTAH TPPA', a broad coalition of non-governmental organisations, trade associations and other groups (including MTEM) campaigning against the proposed Trans-Pacific Partnership agreement. Coalitions may also focus on more than one FTA, campaigning on common issues across several agreements, and linking up with other campaigns. In 2007, for example, Focus on the Global South held national and regional forums to discuss common aspects of FTAs. A regional campaign network (EU-ASEAN) provided a platform for debating how to integrate issues such as ISDS into the broader trade campaign. As Cotula argues in this journal article, decisions about investment treaties, and their contents, are political. So campaign groups need to engage with the relevant authorities. The panellists also suggested that it is necessary for the relevant government representatives to understand the implications of investment treaties. Civil society campaigns will want to try to persuade the government of their point of view. This might involve lobbying against inclusion of certain or all investment protection provisions, or urging a review of existing investment treaties. Civil society groups also need to ask for more transparency, including the disclosure of the relevant drafts, if they are to lobby governments effectively, because of the secrecy that characterises the process. And they will need to make sure that their arguments are backed up by reliable research (e.g. documenting the impact of investment treaties elsewhere). Focus on the Global South, for example, asked the Philippine government to undertake social impact assessments on the FTAs being negotiated and to review existing investment treaties and the ISDS mechanisms. At the start of the campaigns in Malaysia and the Philippines, the public had very little or no knowledge about investment treaties, let alone investment provisions and ISDS mechanisms. The campaigns have not only raised awareness, but also managed to persuade the governments to consider civil society's involvement in the negotiations. In Malaysia, for example, there have been meetings with CSOs and the government has agreed to appoint 'cleared advisors' from industry, trade union, civil society and academia, on a voluntary basis. The panellist said that despite these successes, there was a need for more public participation and for such participation to be more meaningful so that civil society could actually influence the process. Negotiations of investment treaties generally continue to be confidential, for example, and the appointed advisors in Malaysia are expected to carry out their functions without seeing the draft texts. The success of these efforts will in part depend on the capacity of the groups involved, and their ability to attract the broadest possible support from civil society. BANTAH TPPA's campaign has been effective in creating a broad movement, convincing many organisations to join. It has a strategy to be 'apolitical', i.e. not affiliated with any political party, but to be engaged, lobbying both the government and opposition parties, highlighting how investment treaties might affect their constituents. When governments are not prepared to listen to CSOs, the panellists suggested that one solution might be to provide them with evidence as to what other governments are doing. Ecuador, for example, has established a commission to audit its bilateral investment treaties, while South Africa has adopted a new policy in relation to investment treaties and terminated bilateral investment treaties with certain countries. A copy of the slides used by the presenters can be viewed below, or accessed on IIED's SlideShare site. Thierry Berger (thierryberger14@gmail.com) is a qualified solicitor and legal tools consultant at IIED, focusing on law and sustainable development.